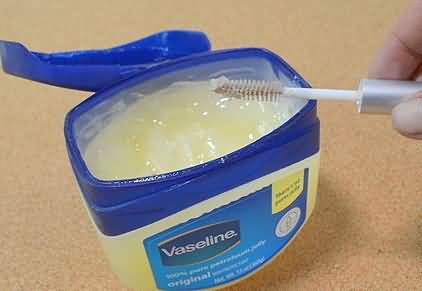 >> Does vaseline help eyelashes grow? There are several myths out there that claim to help grow your eyelashes both quickly and beautifully. It can be difficult to know which myths ring true and which fall short of the mark. One of the biggest myths for your eyelashes is using Vaseline to help them grow. Does this work? Unfortunately, the myth of Vaseline helping your eyelashes grow is false. Vaseline doesn't help your lashes grow at all. However, there are a few things that Vaseline can help your lashes with even though it doesn't aid with growth. Vaseline is extremely hydrating, which is great for dry lashes. The moisture in the balm is a great way to prevent any brittle lashes which might break. Though the moisture is great, the second thing Vaseline helps do to your lashes is creating a full look which might be even better. This product also makes your lashes appear longer, smoother, and more defined. 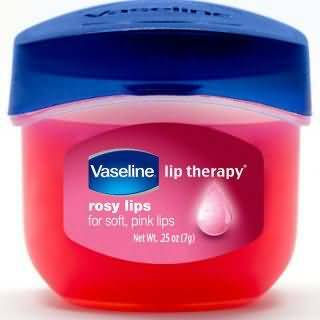 Vaseline can help you create what Treat N' Heal calls an instant fullness, which is what most women strive for these days. 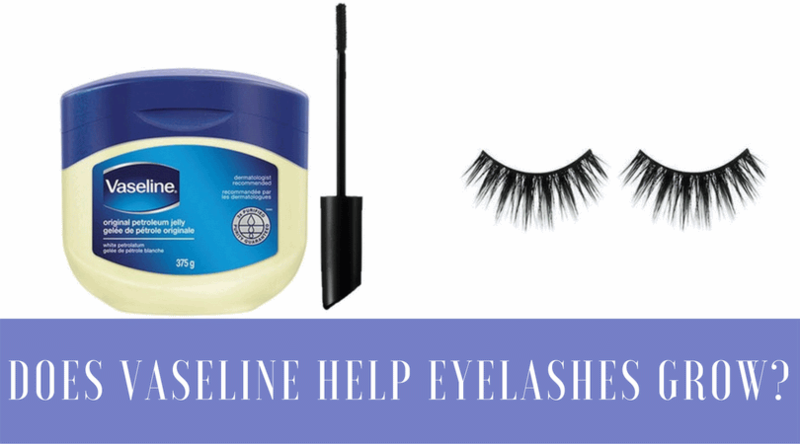 Application of Vaseline to your lashes can be applied in several ways. You should start by finding the best way for you. 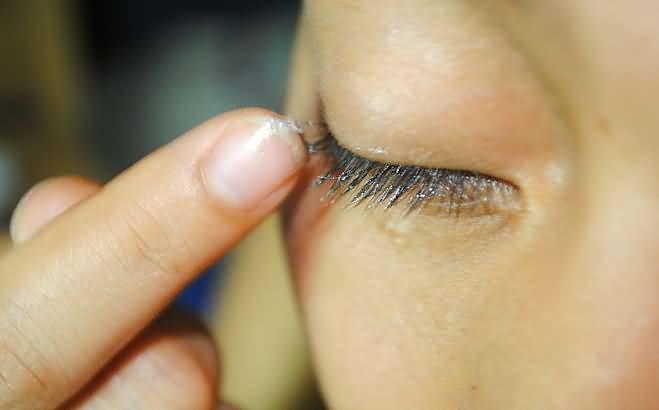 If you have sensitive eyes or allergies, you might want to talk to your doctor before using Vaseline on your lashes. These application tips come from Consumer Health Digest. The first way to apply is with a cotton swab. Just take your cotton swab, put a little of the Vaseline on the end, and use the swab as an applicator to coat your lash line and lashes. Be careful not to get any in your eyes because it can cause irritations. You don't need much to get the job done. The second way to apply is with your fingers. You should make sure your fingers are clean and dry before beginning to prevent any infection from bacteria on your hands. Begin by putting a little Vaseline on your fingertips. Then rub the Vaseline onto your lashes, making sure to coat them entirely. Allergies were mentioned earlier, but it's best to talk about them separately. Sensitive skin cannot handle the ingredients in Vaseline sometimes, and layering it onto your lids and lashes might cause irritation or worse. Allergic reactions might be triggered by the product, which is why it's a good idea to talk with your doctor, optometrist, or allergy specialist to understand the ingredients in Vaseline and how it might affect you. In Style highlights the importance of being cautious with allergies when using Vaseline on your lashes. Reading advice from other doctors is a great way to understand how lash growth works. Real Self's website has several answered questions by real physicians about using Vaseline on your lashes. They each debunk the myth of Vaseline helping to grow the lashes, but they do prove that this product will moisturize your eyelashes. These doctors also suggest other products that will help your lashes grow, but you are required to see your physician to access your need and your options. Vaseline doesn't help with growth, but it does help keep your lashes from getting too brittle and break off. 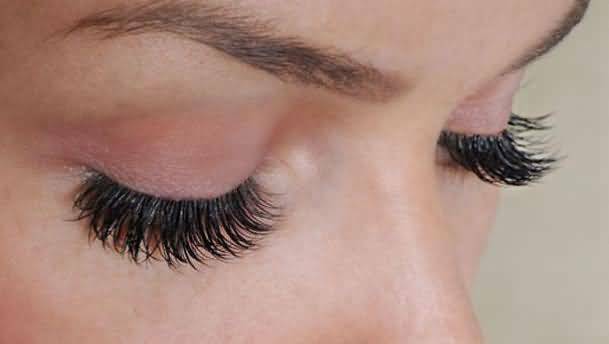 What Are Some Other Eyelash Myths? Aside from using Vaseline on your lashes to make them grow, there are other things for your lashes that have been proven false. These next two myths were posted by Chicago Eyelashes. The first thing is that brushing your lashes will help them grow. Sorry, but that's just not true. Brushing your lashes will cause the opposite effect because the brush strokes will cause friction, which eventually causes cuticle damage or pain around the eyes. The second myth is using natural oils to help your lashes grow longer. These oils—castor oil or coconut oil—actually don't work any better than Vaseline. In fact, the oils work much the same way, providing moisture to your lashes but no growth aid. If you want to grow your lashes longer, you should first talk with your doctor. Of course, they will know the appropriate products, formulas, or procedures—such as Latisse or Revitalash—that you can obtain to help give you the eyelashes of your dreams. Your physician will know your health history as well, which can help when growing your lashes. Another thing you can do is eat a healthier diet, drink more water, and use less mascara. These three things are great for helping your lashes grow and prevent any unwanted abuse to the fragile hairs. It's not as difficult to grow your lashes out as you might think. In the meantime, here is a great YouTube video to help you understand the process.